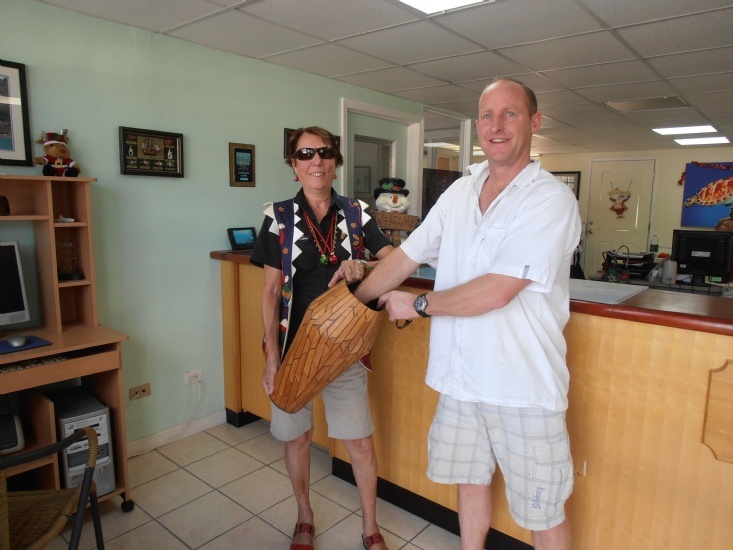 The second draw in the Conch Charters 25rh Anniversary competition took place this afternoon at our office in Road Town. Conch-grats to Murray and Nancy Procter. They have won 25% off 14 nights of their 32 night charter in November 2013. Paul Osborne who did the draw for us with Cindy (in her festive vest!!) was hoping to pull his own name out .